Dell has announced new CPU and GPU options for the Dell Inspiron Gaming Desktop 5000 line with the release of the new Inspiron Gaming Desktop 5680. For CES 2018, Dell has announced a refresh of the budget-friendly Inspiron Gaming Desktop 5000, with the new Inspiron Gaming Desktop 5680. This update features Intel quad-core (i3-8100 4C/4T 3.6 GHz) and hexa-core (i5-8400 6C/6T 2.8/4.0 GHz or i7-8700 6C/12T 3.2/4.6 GHz) processors, which is a change from the AMD Ryzen CPUs that were available in the previous version. We have asked whether Dell will continue to sell both configurations concurrently, but haven't had a reply at this time. RAM comes in the DDR4-2400 flavor with 8 GB or 16 GB standard, but the motherboards support up to 64 GB of DDR4-2666. Storage configuration options include a single 1 TB 7200rpm HDD, combinations of 128 GB or 256 GB SSD with a 1 TB or 2 TB 7200rpm HDD, or combinations of 16 GB or 32 GB Intel Optane with 1 TB or 2 TB 7200rpm HDD. For users who want to add additional storage in the future, there are three 3.5-inch bays and two 2.5-inch bays. Dimensions are 459 x 438 x 216 mm H x D x W (18.07 x 17.23 x 8.5 inches) with weight coming in at 13.74 Kg (30.27 pounds). While these specs don’t mean as much as they do for laptops, this is a reasonably large case, and it is worth measuring your planned setup location beforehand. Power is provided by a 460-Watt power supply, and in addition to all the standard motherboard and case connections, there is a USB-C (3.1 Gen 1) which provides some additional utility. 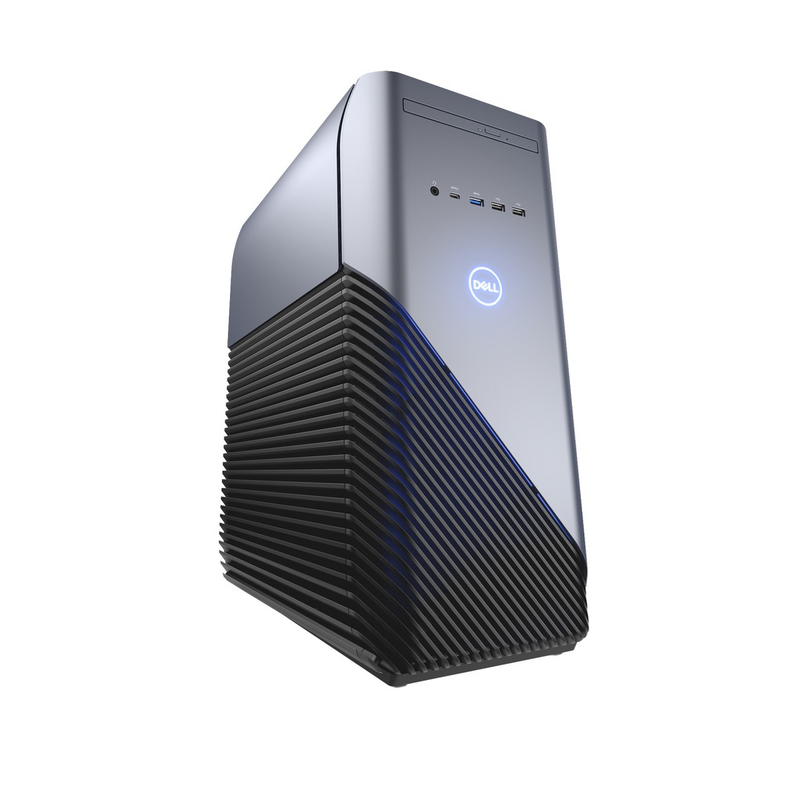 The Dell Inspiron Gaming Desktop 5680 is available from the 9th of January 2018 with prices starting at US$749 for the base configuration.